STOCKHOLM, Sweden, 2017-Oct-17 — /EPR Retail News/ — Housed in a new four-floor building in the centre of the city, between the famous 12th-century town square and the landmark ‘Frauenkirche’ cathedral, ARKET will be a modern-day market offering essential products for men, women, children and the home. a café based on the New Nordic Food Manifesto. The café is located at the ground level with outdoor seating in a laneway courtyard, next to Munich’s historic breweries and beer gardens. Ulrika Bernhardtz, Creative Director, at the time of the store’s announcement earlier this year. 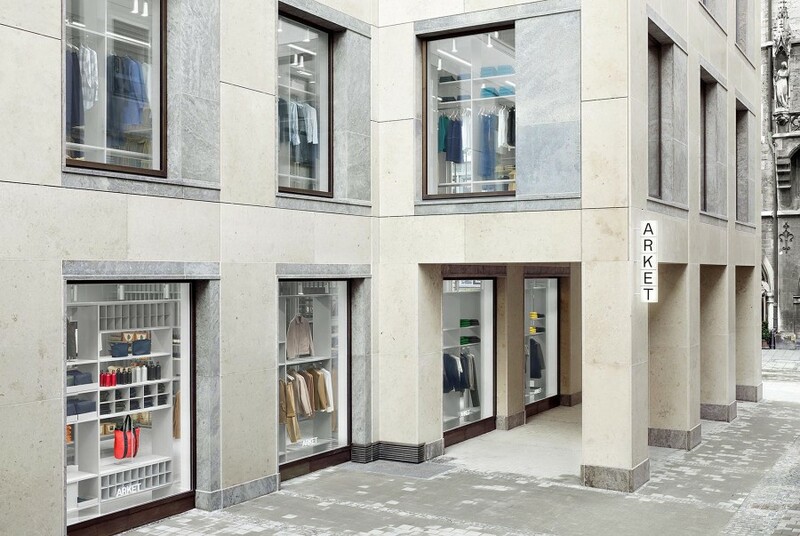 ARKET means ‘sheet of paper’ in Swedish. Its mission is to democratise quality through widely accessible, well-made, durable products designed to be used and loved for a long time. The collections are composed of ARKET’s own products alongside a selection of the best examples from other brands. This entry was posted in Apparel, Business, Fashion, Management, Retail, Retailer, Shops and tagged ARKET, Germany, H&M, Ulrika Bernhardtz. Bookmark the permalink.